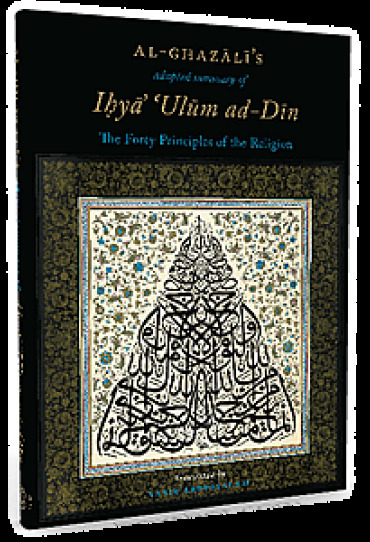 AL-GHAZALI's adapted summary of Ihya Ulum al-Din - The Forty Principles of the Religion THE FORTY PRINCIPLES OF THE RELIGION is a comprehensive distillation of Imam al-Ghazali's magnum opus, Ihya Ulum ad-Din (The Revival of the Religious Sciences), in which he explores the spiritual depth of virtually every aspect of Islam. 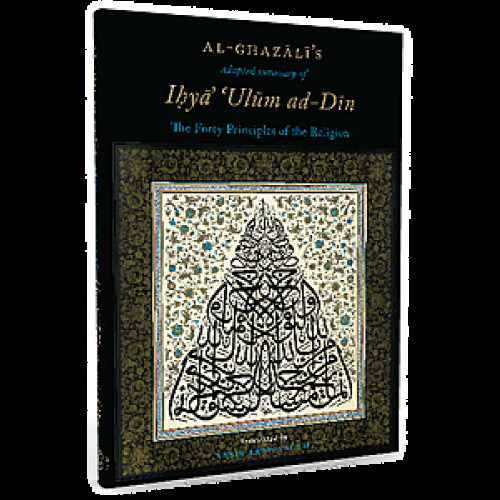 This condensed work presents Imam al-Ghazali's profound insights regarding man's lifelong struggle to draw closer to Allah in a simple framework, providing the reader with a step-by-step tried and proven method for spiritual development. The result is an essential guide to improving one's relationship with both the Creator and the creation and a perfect introduction to Imam al-Ghazali's other great works. English translation by Nasir Abdussalam. Editing and footnotes by Mariam Madge Conlan. 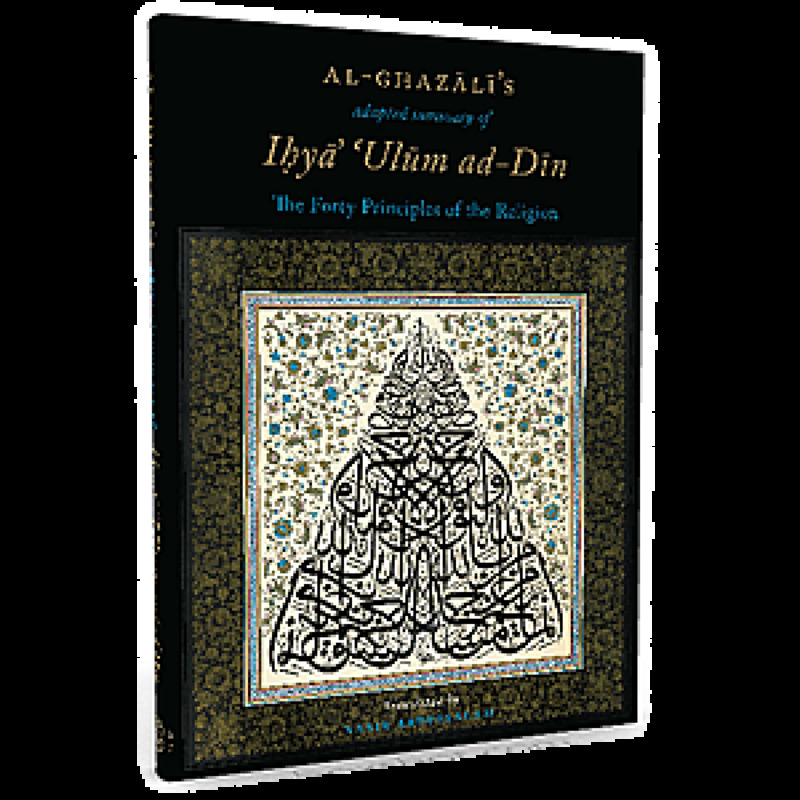 A careful and idiomatic English translation of one of Imam al-Ghazali's most powerful books, which shows the comprehensive depth of the Qurans teachings. Shaykh Abdal Hakim Murad (T.J. Winter) Cambridge Muslim College About the author The Proof of Islam Imam Abu Hamid Muhammad ibn Muhammad al-Ghazali (d. 1111) jurist, legal theorist, logician, theologian, and mystic was a master of both the outer and inner sciences of the Shariah who is regarded by many as the greatest Muslim thinker to have lived after the Pious Predecessors. Credited with dealing the deathblow to Aristotelian philosophy in the Muslim world and bringing authentic Islamic spirituality into the mainstream, his life and thought were extremely influential in shaping the spiritual values and practices of medieval society and are no less relevant today.